Duke Energy provides free energy makeovers for low-income residents in Carrabelle, Fla.
homes and apartments of qualified customers will receive a complimentary energy makeover, which includes the installation of up to 16 energy-saving improvements. 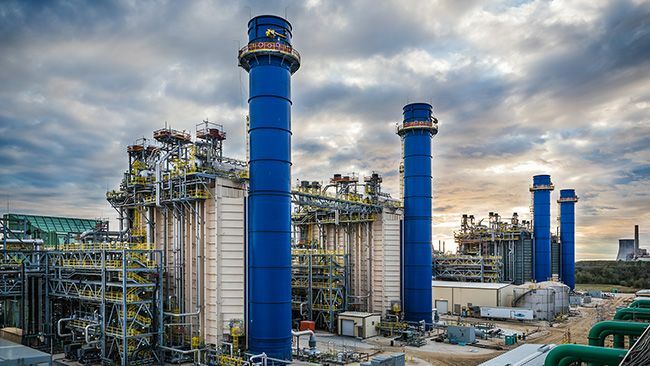 "Duke Energy is committed to helping our customers better understand and manage their energy use," said Alex Glenn, Duke Energy’s Florida state president. "Through our Neighborhood Energy Saver program, we provide customers the tools to help reduce their energy bills and the information needed to make long-lasting, positive change." The Neighborhood Energy Saver program benefits low-income customers living in select, census-defined communities. Since the program’s inception in 2006, the company has implemented it in more than 34 communities across the state and installed approximately 290,645 energy-efficiency improvements in more than 16,700 low-income customers’ homes. The Duke Energy Neighborhood Energy Saver program kickoff will take place on Tuesday, July 30, from 7 to 8:30 p.m. at the Carabelle Municipal Complex, located at 1001 Gray Ave. In partnership with the city of Carabelle, Florida Department of Economic Opportunity, Franklin County Government, and Capital Area Community Action Agency, Duke Energy plans to install energy-efficient improvements in more than 400 homes at no cost to residents. Duke Energy Florida also helps reduce energy loss through the installation of door sweeps, caulking, foam insulation, weather stripping and clear patch tape. In addition, the company provides up to five compact fluorescent light bulbs. Block 1 - NW Avenue F east to Tallahassee Street; Tallahassee Street south to Hwy. 98/319. ; Hwy 98/319 west to Ryan Drive/West 11th Street; Ryan Dr/West 11th Street north to NW Avenue F.
Block 2 - East on Avenue C north to Gray Avenue to 12th Street SE. ; south on 12th Street SE to Avenue F South. ; west on Avenue F south to Marine Avenue; north on Marine Avenue to Tallahassee Street/Avenue C .
The Neighborhood Energy Saver program began as a pilot project in 2006 in St. Petersburg’s Palmetto Park community. The program has been so successful that the company has conducted the outreach in 34 communities statewide, including Altamonte Springs, Apalachicola, Apopka, Avon Park, Clearwater, Crystal River, DeLand, East Orlando, Eastpoint, Eatonville, Haines City, Inverness, Jasper, Madison, New Port Richey, Perry, Plymouth, Sebring, Trenton, Zellwood, and several St. Petersburg neighborhoods. "Energy efficiency is critical to meeting our state’s long-term energy needs," Glenn said. "It is the quickest, easiest and most environmentally friendly way to reduce energy use." For more information on energy efficiency tips that all homeowners can benefit from, visit www.duke-energy.com, click on "Florida" and then "Save Energy & Money."